Last week we offered Jad 2 as an expansion to the TzHaar Fight Cave. With an a lot of excitement surrounding the proposal but the content falling just short in the poll, we would like to offer a bit more insight into the content and make a couple of small changes. Upon completing 63 waves of the Fight Cave, you will be given a choice: take your hard-earned Fire Cape and leave or risk it for a chance in The Inferno. If you accept the challenge you will be faced with 22 additional waves leading up to the fight of a lifetime. You will fight new TzHaar monsters along the way, challenging you both mechanically and in terms of endurance. If you are able to make it to the final fight, you are in for a treat. You will be up against TzKal-Zuk, an incredibly fierce foe that will not be taken down by just anyone. Our goal with this content is to, once again, bring you that same feeling of accomplishment that you felt the first time you killed TzTok-Jad. This boss will be very challenging and will turn you into a panicky mess as you approach the final fight. Why is The Inferno an extension of the Fight Cave? One of the most consistent comments we have received since discussing an expansion of the Fight Cave at RuneFest last year is that you do not want this update to be the Fight Kiln coming to Old School. Keeping The Inferno as an extension of the Fight Cave will offer you a very different experience to what the Fight Kiln offered in RS3. An extension, rather than a separate cave, doubles-down on the challenge of endurance that the Fight Cave offers. The limit of a single inventory and the gear you're wearing is challenge enough when completing the first 63 waves - completing an additional 22... Now THAT is an endurance challenge! Offering The Inferno as a separate piece of content would require a lot more development time in order for it to have the same impact. Keeping it as an extension allows us to create a very challenging and enjoyable piece of content in much less time, meaning we can deliver the content much sooner and keep up the work on other projects, too. We will be offering three potential rewards for those skilled enough to take down TzKal-Zuk: a new best-in-slot melee cape, a new best-in-slot ranged cape and a new best-in-slot magic cape. 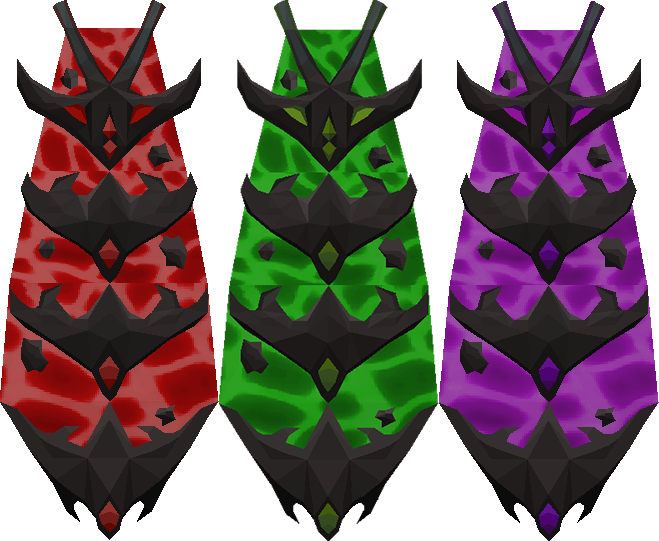 These capes will be untradeable and the only way to retrieve one if you lose it will be to successfully complete The Inferno and kill TzKal-Zuk once again. We will be offering these capes in two questions. If both questions receive over 75% approval, all three capes will be the reward for completing The Inferno and taking down TzKal-Zuk. The ranged and magic capes have been bundled together in a question to avoid an awkward mix of capes being offered as a reward. Please note: The ranged cape will not increase the max hit of the dark bow. This will be capped at 48-48. Question: Should a new best-in-slot melee cape be given as a reward for defeating TzKal-Zuk? Question: Should a new best-in-slot ranged cape and best-in-slot magic cape be given as a reward for defeating TzKal-Zuk? EDIT: I understand making this seperate would take more dev time, but I feel this kind of content should be well-done, thorough, not rushed, etc. As for the capes, I like the look of them and I think the stats are fine. I originally would have voted yes to them, but I saw some thread on reddit about releasing the range/mage capes with other expansions such as the abyss/mage arena/new quest with ava and I like that suggestion better. Lots of good suggestions have been given on reddit, such as a Mage Arena expansion, Abyss expansion etc. etc. Are you guys also adding in something like the fight kiln where as you can pick the cape or an item (like the uncut onyx) in rs3 or will it only be the capes? Will there be a different Max Cape design if you put the cape into the max cape? IF the poll passes for mage/range cape, how will you get them? can you pick what one you want or will it be based of damage you've done on the boss with a certain style, thats how it works in rs3. "we would like to offer a bit more insight into the content and make a couple of small changes." Where are these changes? I can't see them, only different poll questions. It should be its own separate minigame, not connected to the fight caves. The fight caves aren't challenging anymore, they're just boring and time consuming, I'd certainly prefer it to be separate. Do not a make a extension people hate that make a separated cave. it seems like the only thing you learnt from the feedback was to cap the dark bow to 48-48. Many pvmers dont care about getting content quickly. We want good and not rushed content.